Many millions of people around the world are reporting having strange dreams and visions about what is coming upon the earth. Just search on YouTube and you will find thousands of videos made by sincere people just telling what they saw in their dreams. Recently I received an email via this website from a woman in India who was having dreams of earthquakes and volcanos and the destruction in many places, one of which was a place named "DC". This uneducated woman didn't even know what or where Washington DC is but she saw it being destroyed in her dreams. Don't think this is just some passing phenomena - Jesus said it would happen before he returns and his father pours out his wrath upon the Earth. Around October 11 I dreamt of a huge earthquake. It was so bad that lava was shooting out of the broken up earth's crust in some places. In the dream, I was driving the car I had when I lived in California and later Washington state years ago, so it may mean its the long predicted "big one" along the San Andreas fault. Following are two dreams and a very specific prophecy by a prophet of God. One dream was given to a friend of mine and another given to me very recently. Take these for what its worth. I would not post them if I had not personally been involved with them - this is first-hand information from me. As we all know, a large underwater earthquake can trigger a tsunami. New Zealand sits directly adjacent to the Australian east coast. It sits on the "ring of fire" and is very seismically active (it has a history of having a lot of earthquakes). A large earthquake on or around New Zealand could definitely trigger a tsunami. In fact, there is archaeological evidence that this has happened in the past. There is much wickedness on the east coast. When I lived there, I personally knew of a great deal of witchcraft. As an example, when you walk along the road it's very common to see cassette tape strung along the side, wrapped around posts, etc. I was shocked to learn what it is - witches/Satanists tape record vile curses upon all of the people who live there! Then they string it around suburbs so the curses will be upon the people! There is ever increasing wickedness over there. In 2004, a friend of my wife's had a very troubling dream. It was very real. In it, the Lord Jesus took her to the ocean (she lives near the sea on the east coast of Australia). There He showed her a huge wave coming. It was a gigantic tsunami. He said this was going to happen and for her to warn people to move away from the beach to higher ground. The next day she rang my wife to talk about it, very troubled. My wife asked me to talk to her, so I did. After she told me about the dream, I said let's pray and ask God for a confirmation if this is really from Him. So we prayed and waited. Exactly 7 days later she rang back. She said the Lord had confirmed the dream. She was at the grocery store shopping when a woman passed behind her in the isle. As she passed she said, "you're dream will come true" and walked off, around the corner out of sight. It didn't hit her until she was standing in line what the woman meant. The tsunami dream will come true! She never saw the woman again. Who was she - an Angel? Maybe. Since that time we have told many people about this. Many of them say they have had tsunami dreams themselves. Some Christians are also prophesying this event is coming soon. 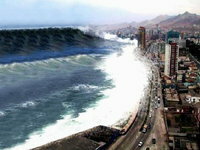 In the early morning hours of 14 August 2010 I had a dream of a tsunami. This is the first time that I had ever dreamt of a tsunami. I was at the ocean - at a small, enclosed bay that I didn't recognize. But its mouth was like Sydney's or San Francisco's - very small with hilly heads at each side so that I could only see the ocean between the heads. Suddenly I heard the roar of the tsunami coming in - and mixed with that were the screams of people! It was a mighty roar but I could hear the screams through it. Then I started running back from the bay and I looked back to see the water crashing in around the heads. The next thing I was in a sort of public access building and a woman was sitting on the ground in front of what could be an empty plant pot. She reached in and pulled out a paper card and handed it to me saying, "this is for you", or something like that. I looked at it and there was a month and day in big letters. Now unfortunately, when I woke up the dream was already getting fuzzy so I'm not 100% sure of the date, but that fact that there was no year was prominent in the dream. That's all there was. I take it to mean that since there was no year on the card, the tsunami will hit within 1 year of the dream - sometime in 2011. I had originally thought the month could have been June, but thankfully that time has passed. I sincerely believe this ties in with the other tsunami dream above. If you live on the East coast of Australia, especially New South Whales, if you are not ready to go to be with the Lord I would move far away from the beach. Here is a copy of a VERY IMPORTANT Major prophecy for Australia recently given (Aug 2010) by Kenyan Prophet Dr Owuor at a conference in Yahweh Adonai Church Labrador Qld Aus. This man of God has supposedly prophesied the major disasters of this century before each happened. So I would take this seriously. It is the goodness of God that leads to repentance, thus it so important His word gets heard before hand and acted upon as lives depend on it, and so people know what is going on. The call to repentance & holiness are very important preparations for the soon coming of Christ. "The time is coming when the Lord is going to open Heaven over this land, and the Holy Spirit is going to manifest a lot of works, the healing of people, delivering of people, regardless of where. But listen precious people. There is an earthquake coming to this land. The Lord spoke with me about a HORRIFIC EARTHQUAKE, AN HISTORIC EARTHQUAKE TO VISIT AUSTRALIA. 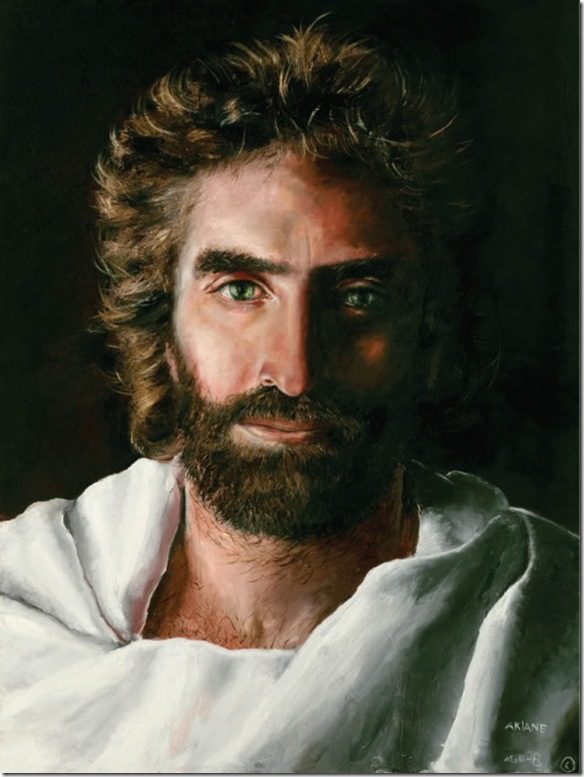 And I was there myself, I don�t know, I guess you know how the Lord speaks to His prophets. He puts me in the earthquake, I also ran for my life today and the buildings collapsed on me, so I know what people will feel like on that day. And then, on the western horn the north west corner of Australia, He pushed the ocean, the earthquake pushed the ocean. And I see a huge wave a huge high speed wave, its a mountain of water pushed by the earthquake. And the Lord said "THIS LAND MUST REPENT". The time to engage in sexual sin by the beaches is over because the Lord has sent me here now. Remove false prophecy from the church. Especially false prophecy, that one must be removed because its confusing the church at this hour. I can only speak for the Lord and the Lord He is righteous. Again, there is going to be a historic earthquake now that I have said it here. I see the buildings collapse and people cannot get away, and I see a lot of deaths. Yesterday He showed it to me and today He spoke to me about it, just a few hours before I came when He slayed me, and I went to sleep and He showed it to me again. AND THEN THE EARTHQUAKE CAUSES THAT HUGE PUSH OF WATER, A MOUNTAIN OF WATER, LIKE SO MANY STORIES HIGH, AND PUSHED, A TSUNAMI IS COMING, PLEASE REPENT. DON'T HANDLE THIS CARELESSLY LIKE THE PEOPLE OF HAITI DID. Don't start prophesying on top of it He will strike you. I have seen a horrific earthquake visit this land, TREMENDOUS HISTORIC, don�t handle this with carelessness, I warn you precious people, the Lord has spoken with me, don�t fool around with this one. New Orleans fooled around before Katrina, 1 month and 9 days before when we sent the messages and they said people here don�t believe that because they say there are many satellites that watch this nation, but it came to pass. Don�t take this carelessly, please I beg you, I plead with you. May the Lord bless you, that you may harken unto His voice." "There is an earthquake coming to Australia, but when it comes, it hits Australia at the north west corner, and its very interesting because when it hits Australia at the north west corner, the tsunami generated, does not come to Australia, but begins at the shores of Australia and sweeps/destroys the islands next to Australia."